“Republicans’ inept attempt at running our country with another Continuing Resolution is disgraceful. A government can’t run on temporary measures. They refuse to address the over 800,000 DACA recipients who are losing their legal status to work every day. We cannot continue to allow such uncertainty on model citizens. The continuing resolution just passed also does not address Puerto Rico and the U.S. Virgin Islands, where many homes are still without electricity and disaster assistance is badly needed. “Republicans control the House, Senate and the White House and have refused to work with us to come to a compromise on basic, common sense, pressing issues. Only President Trump’s and Congressional Republicans’ lack of leadership are to blame for the government shutdown we just had, ” said Congressman Serrano. Last week Congressman Serranoled a letter with Representatives Espaillat, Suzanne Bonamici, Don Beyer, and Barbara Lee to the Department of Homeland Security’s Inspector General to investigate Immigration and Customs Enforcement (ICE) and Customs and Border Protection (CBP) policies with regard to repeated violations of those agencies’ sensitive locations policies, and a lack of oversight and safeguards to prevent abuse. The Members believe that only an independent investigation can bring about needed change. “We believe that there is a significant lack of oversight and accountability within these agencies in carrying out enforcement actions at sensitive locations,” wrote the Members. “Without significant changes, enforcement actions at sensitive locations will continue to undermine the health and safety of immigrants and their families- regardless of their underlying immigration status.” Said the Members. In October, 84 Members of Congress sent a letter to the Department of Homeland Security asking for further information about repeated violations of the sensitive locations policies by ICE and CBP, and asking for further information about alleged abuses of these policies and the mechanisms currently in place to ensure accountability. The Department replied just prior to Christmas (see attached document), and revealed significant gaps in oversight of these guidelines. Neither ICE nor CBP keep statistics on their enforcement actions at sensitive locations, and there is not a clear system for complaints and discipline of employees who violate these memoranda. Additionally, CBP agents, who have been involved in several controversial incidents involving sensitive locations, do not receive any training on their agency’s sensitive locations policy. “The 2020 Census will have immense policy implications for the next decade. An accurate 2020 Census is critical for the fair allocation of our government resources and for the future of our representative democracy. The Justice Department’s proposal to include a question asking individuals’ citizenship status is very troubling given its previous efforts to undermine the count and anti-immigrant policy record. Asking for individuals’ citizenship status, while seemingly menial and harmless, will only discourage immigrant families from filling out the form for fear of being targeted for deportation. As a country, we gain nothing by encouraging immigrants to live in the shadows. Our communities are safer and better functioning when we know who is here and how our population is changing over time. Getting Hispanics and other minorities to participate in the Census is already a challenge as it is. Instead of doing everything in its power to depress the numbers of Hispanics and other minorities living in our country --and ultimately in the electoral process --we should be doing more to ensure everyone living in this country is counted. I urge the Trump Administration to desist from these efforts immediately. For the past several years Congressman Serrano has been working in Congress on securing the necessary level of funding necessary for a successful 2020 Census. This is the one area the Trump Administration, the Department of Commerce, and Republicans in Congress should be focusing to guarantee an accurate count,” said Congressman Serrano. 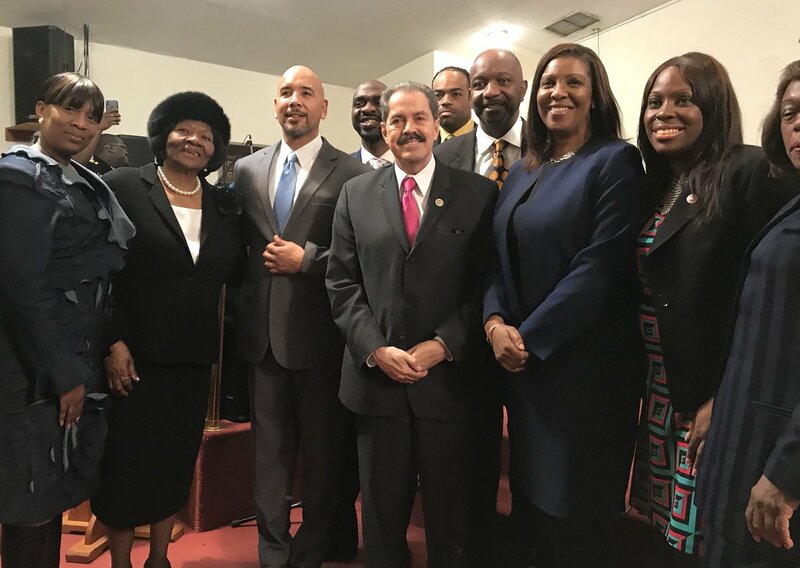 Last week Congressman Serrano visited Union Grove Missionary Baptist Church along with other New York City elected officials to celebrate the life of Martin Luther King Jr. on the anniversary of his birthday. “This past year has been a challenging one for Dr. King’s vision. We have witnessed some of the most hurtful rhetoric and blatantly discriminatory policy changes from the Executive Branch under the Trump Administration- from the Muslim ban, to the rescinding of DACA, to the Trump’s comments regarding immigrants from Haiti and the nations of Africa. These actions should dismay us, but they should not discourage us. Now it is more important than ever to truly honor the values and tenets that guided Martin Luther King, Jr.’s life. Today, let us renew our commitment to the values that have made this country great and continue fighting for greater justice and economic opportunity for all regardless of race or social background. We will not let the hateful voices in the White House undermine Dr. King’s vision of a country free of hate and full of justice and compassion,” said Congressman Serrano. Last week, Congressman Serrano announced that the U.S. Department of Housing and Urban Development (HUD) has awarded over $1.8 million in Homeless Assistance Continuum of Care grants to various organizations in the Bronx focused on helping homeless people: Banana Kelly Improvement Assoc, Promesa, Inc., Vocational Instruction Project Community Services, and United Bronx Parents/Acacia Network. “Throughout the years, federal HUD funding has been critical in addressing homelessness in the Bronx and beyond. I am proud to announce an additional $1.8 million in funding to organizations that provide housing services to people in need and equips them with the tools and resources to become successful members of society. The funding announced today will go towards the programs that have proven most effective nationwide. 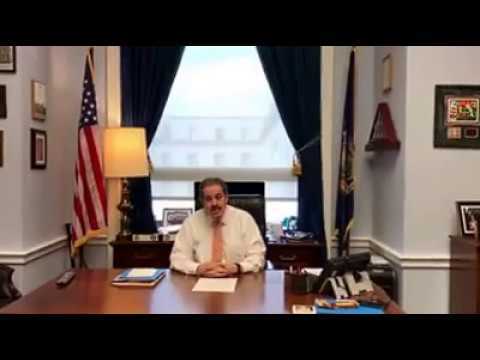 As a senior member of the House Appropriations Committee, I will continue fighting for the federal dollars necessary to address homelessness in New York City and throughout the nation.” Said Congressman Serrano. Last week, Congressman Serrano blasted the Trump Administration on reports that they will undermine longtime rules regarding the Community Reinvestment Act. These ruled help prevent financial institutions from discriminating against residents in minority, poor communities through ‘redlining’, an old practice through which banks and other institutions would refuse to lend money in specific neighborhoods, regardless of an individual’s financial status and credit score. “Redlining is a discriminatory practice that needs to remain in the past. These reports are so troubling because they threaten to revive the decades of government sanctioned discrimination and disinvestment from places like the Bronx. Access to financial services and capital are key to people’s capacity to escape poverty, accumulate wealth, and to promote the economic growth of areas like the Bronx. That is why over the years I quadrupled funding for initiatives like the CDFI Program, which helps expand access to capital and consumer friendly financial services in underserved neighborhoods. The work of CDFI institutions have been life changing for many people, businesses, and families over the years. We should be doing more to expand banking in these neighborhoods, not putting more unfair obstacles on an individual’s capacity to improve their livelihood. Someone’s ability to qualify for a loan shouldn’t be determined by their zip code and race, it should be determined by their financial record and credit score – as it is in every other case. Unfortunately, given the Trump Administration’s efforts to eliminate programs expanding financial access to businesses and individuals residing in areas hurt by decades of discriminatory banking practices, including the effective CDFI program, these reports come as no surprise,” said Congressman Serrano. Also last week, week Congressman Serrano met with members of the 1199 SEIU and 32BJSEIU unions to discuss continuing efforts to restore Puerto Rico and the U.S. Virgin Islands. Congressman Serrano has been a vocal advocate for Puerto Rico and the U.S. territories in Congress. He has also pushed for an increase in funding to help rebuild Puerto Rico and the U.S. Virgin Islands. Congressman Serrano praised the U.S. Army’s decision to award Emmanuel Mensah a Soldier’s Medal, for his heroic acts during the deadly fire that erupted in a Bronx residential building on December 28, 2017. Mensah saved the lives of four residents before dying during the fire. He was a National Guard soldier visiting home for the Holidays. The Congressman also sent a letter to his family to express his condolences and thank his family for his service. “This past holiday four Bronx residents didn’t lose their lives thanks to the extraordinary heroism of Private First Class Emmanuel Mensah. Mensah wasn’t in active duty when the fire suddenly erupted in his neighborhood, yet he took the valiant decision to enter the building and rescue people at least three times before losing his life. I applaud the Army’s decision to award him a Soldier’s Medal to honor his selfless act. Originally from Ghana, Mensah’s heroism is also an example of the positive impact that immigrants have in our communities. Let us keep his family and friends in our thoughts and prayers in this difficult moment,” said Congressman Serrano.